Home Skin care Face Pack For Clear and Shiny Skin? Face Pack For Clear and Shiny Skin? 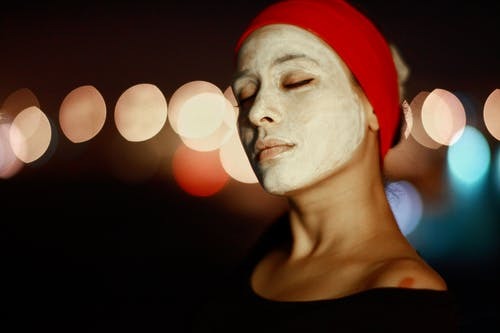 Homemade masks are one of the best solution to get a healthy and glowing skin.Below are some effective home made masks which you should have to use. Honey is one of the best and effective home remedy for your skin.It reduced all the dirty cells and dirt present in your skin and helps in to give a glowing and healthy skin.Always a glowing skin gives an instant identity to anyone. Let's take a look to the ingredients necessary for making a honey home made mask. First of all warm the milk a little bit and mixed it with the honey. Apply the slightly warm mixture of milk and honey into your face with the cotton ball. Let the mask or mixture of milk and honey into your skin for at least 10-15 minutes. After applying all the above methods at last wash your skin with the lukewarm water first and then wash your skin with the cold water. Orange is also an effective home remedy for glowing skin.Orange juice mixed with sandalwood powder is so effective for your skin. Let's take a look to the ingredients necessary for making a orange home made mask. Completely dry the orange peels in the sunlight for 3-4 days. After that grind the peels completely to make a powder. Mixed the grind peel powder with the sandalwood powder as your need. Put the enough amount of water in mixture of peels powder and sandalwood powder to make a fine paste. Apply the paste in your skin and wash after 30 minutes. Everyone loves banana to eat but banana also helps us as the best home remedy to get a glowing skin.Let's take a look to the ingredients necessary for making a banana home made mask. Make some pieces of ripe banana (4-5 pieces) and take 2 teaspoons of honey then grind the mixture completely till it changes in a fine paste. Apply the paste in your skin for minimum 15 minutes. Wash it after 10-15 minutes after applying the paste in your skin with the lukewarm water. After following this method you will the best desired change in your skin within a month. Papaya is a slicy and chubby fruit most of us likes it as a fruit but we don't know that it is also a home remedy for glowing skin. Let's take a look to the ingredients necessary for making a papaya home made mask. Grind or mesh the papaya properly. Add 1 teaspoon honey to the meshed or grind papaya and makes a proper paste. Apply the paste on the face directly and wait for 20-25 minutes. After applying for 20-25 minutes, wash it properly by lukewarm water first and then wash it by cold water. Usually we use eggs for making omlate and takes it into breakfast.But egg is not only for the breakfast,it is also used as the best face masks to get a glowing or healthy skin at our home. Let's take a look to the ingredients necessary for making a egg home made mask. Smash or beat the egg properly in a separate bowl. Take 4-5 drops of almond oil and add to the egg and mixed it properly. Apply the mixture on your face and wait for 10-15minutes. After waiting for 10-15 minutes wash it properly with a lukewarm water first and then wash it with cold water. Natural Remedies To Get Rid Of Sun Spots?